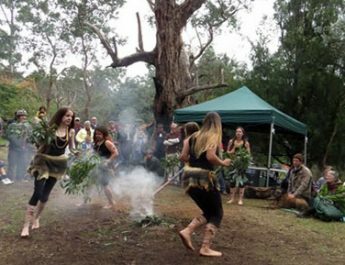 Nillumbik Reconciliation Group conducts school group tours of the trail – the tours aim to give an understanding of Wurundjeri culture through the use they made of the flora and fauna of the area. Please contact the Secretary for further information. 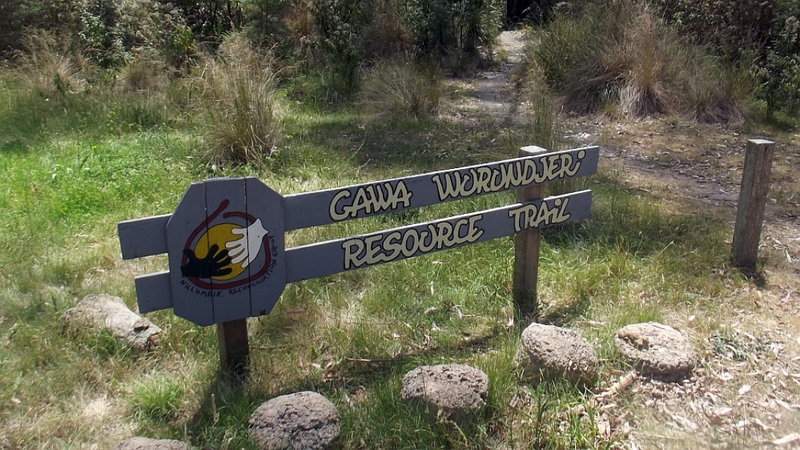 The Gawa Wurundjeri Aboriginal Resource Trail is near Watsons Creek on the Eltham-Yarra Glen Road. 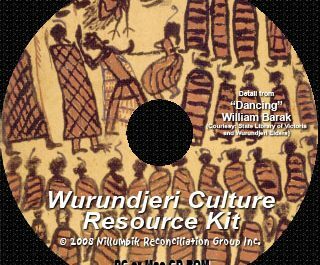 It provides a self-guided tour, with markers explaining how the Wurundjeri clan of about 50 people lived near the creek, and used the land to obtain bush foods, medicines, implements, shelter and clothes – all created by their Dreamtime spirits. The clearly marked 340m looped trail was launched by Wurundjeri elder Jim Wandin and the Nillumbik Reconciliation Group in partnership with the Nillumbik Shire Council on August 12, 2001. 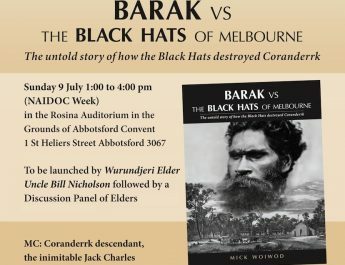 “If the spirit that is evident in the people who were at the launch pervaded the rest of the country, there would be no need for reconciliation,” Mr Wandin said. Nillumbik Reconciliation Group president Mick Woiwod said the trail was made possible with a $20,000 grant from the Natural Heritage Trust and the labour of the Green Corp volunteers. The resource trail would help the community’s understanding of Aboriginal culture and would also be widely used as a teaching aid, Mr Woiwod said. “A lot of people wouldn’t last very long out here, but the Wurundjeri people had quite a lot of food because they knew where to get it. Mr Woiwod said the trail originated from a children’s short story competition on Aboriginal life. To help write these stories, the children needed a deeper understanding of Wurundjeri life. “But now everyone can experience and enjoy what this walk has to offer,” he said.